Though the NFL hasn't confirmed it, rumor has it that The Who (or at least Pete Townshend and Roger Daltrey, plus sidemen) will be this year's recipient of the "Classic Rock Act That Gets A Post Super Bowl Sales Boost" award. Sports Illustrated is citing sources that say Townshend and Daltrey have been asked to play the halftime show. If the deal gets done, what can we expect? 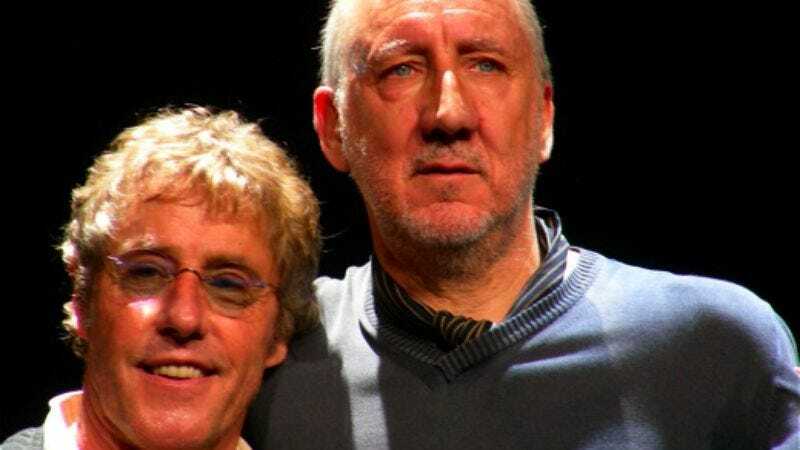 A bunch of songs from the album Townshend and Daltrey are reportedly working on for a 2010 release? A quick run through all the CSI theme songs? Whatever the set-list, expect the CBS sports anchors to hype the gig with a lot of Abbot & Costello-inspired shtick.